Killer Characters: Can you believe it's February already? Can you believe it's February already? by Caro Lamont, pet therapist from the Pampered Pets mystery series by Sparkle Abbey. Wowza, where did that time go? Seems like we just had Christmas and now it’s fixing to be Valentine’s Day. I know you all were probably thinking since I mentioned Valentine's Day I was going ask about plans for candy and flowers and romantic dinners. Those things are nice, but what I was really wondering is this. Are you planning anything special for your pets? Thelma and Louise, my cats, are pretty clear about their preferred gifts. Catnip toys and kitty treats and they are happy with their haul. And ready for a nap. They offer some great ideas but my favorite suggestion is #14. Time. The very best gift you can give your pets is the gift of your time. Play fetch, go to the park, dangle some yarn, or share a long cuddle. As the post says, it will be good for both of you. Here’s wishing you and your furry friends, an early Happy Valentine’s Day! 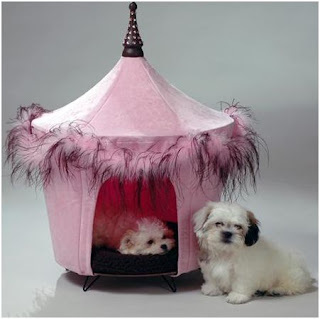 Sparkle Abbey is actually two people, Mary Lee Woods and Anita Carter, who write the national best-selling Pampered Pets cozy mystery series. They are friends as well as neighbors so they often write at ML’s dining room table or at the Starbucks up the street. If they could write anywhere, you would find them on the beach with their laptops and, depending on the time of day, either an iced tea or a margarita. They love to hear from readers and would love to connect with you via their website at: sparkleabbey.com or on Facebook or Twitter. The only thing our dogs get for Valentine's Day is time with us. They are all very happy with one on one time and attention. That is essentially everyday in our home. We love them and they love us. Joanne, your undivided attention the best Valentine's Day gift you could give your dogs! Thank you for the wonderful ideas for Valentine's gifts for Pita, my kitty furbaby. She gets presents all the time because she deserves them, doesn't ask for anything, and gives me unconditional love every day. You're welcome! A pet's unconditional love is the greatest love we could receive. Happy Valentine's Day to both of you.